Most modern organization's employees are using mobile devices for work purposes, applying increased pressure for IT to deploy a mobile security strategy. 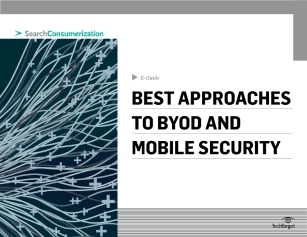 This exclusive e-guide offers advice on developing a strong mobile security plan and examines how some modern corporations approach BYOD and security. Learn what IT should and shouldn't do with respect to mobile security such as developing a "lock-everything-down-approach"